The Fantastic Beasts actress stars alongside Naomi Campbell and Karen Elson in the “Alice in Wonderland”-inspired film. Following her appearance in Fantastic Beasts: The Crimes of Grindelwald, Zoë Kravitz has found herself in yet another fantasy film. 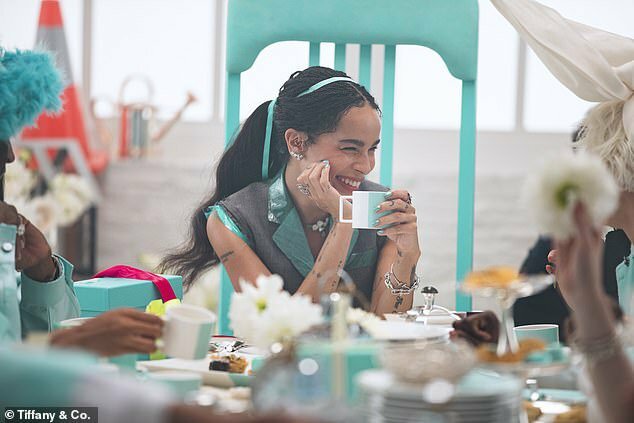 This time, it’s Tiffany & Co.’snew Alice in Wonderland-inspired holiday campaign short, “Believe in Dreams”. “The holiday season is a time of year when more than ever, we’re inspired to dream,” – Reed Krakoff, chief artistic officer, Tiffany & Co. Directed by Beyoncé collaborator Mark Romanek, the clip follows Zoë as she ventures into a Tiffany blue dreamland. There, she discovers a whimsical Tiffany & Co. holiday workshop where she gets a tour from the workshop’s manager, played by a white-haired Xiao Wen Ju. Aside from cameos by models Karen Elson and Maye Musk, the tour also gives us an imaginative behind-the-scenes look at the making of the jewellery brand’s iconic lines, including the Tiffany Paper Flowers™ and Tiffany HardWear collections. And what’s a Wonderland-themed film without a Mad Tea Party? 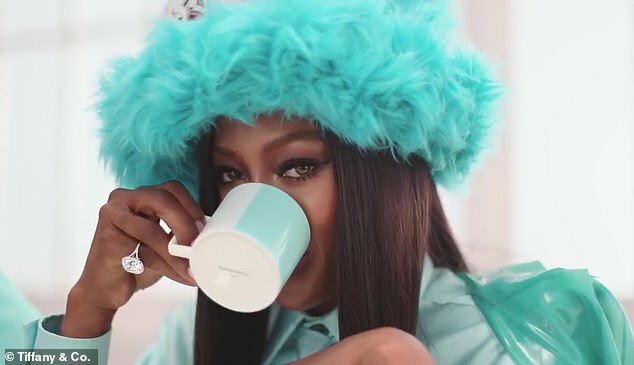 In this version, Naomi Campbell stars as the eccentric Mad Hatter and her tableware of choice consists of pieces from Tiffany & Co.’s Home & Accessories collection.